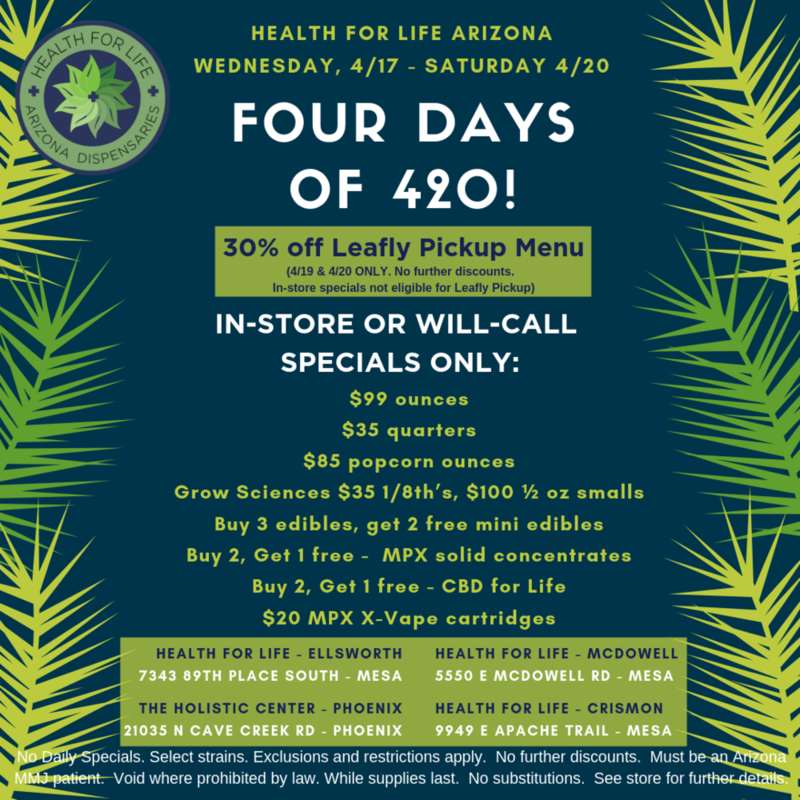 Arizona - FOUR days of 420! Are you ready Arizona Health for Life fam?!!! It’s that time again, let’s get ready with FOUR days of 4/20!! Arizona - Green Halo Sale! Maryland - 420 Specials & Party! !